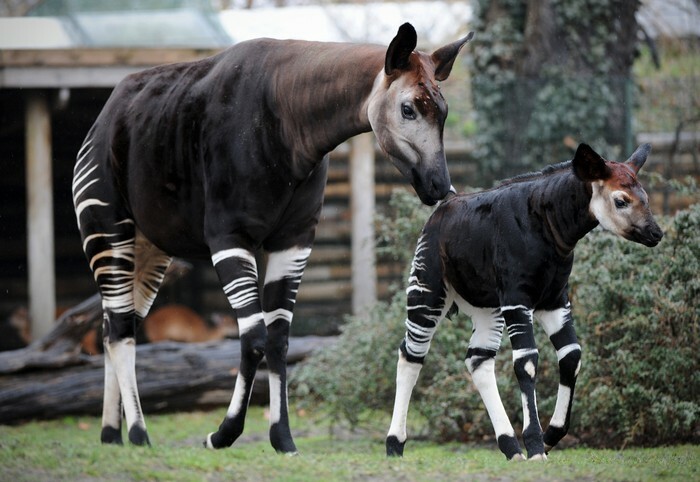 Okapi are endangered animals that are a dark chestnut in color and have zebra stripes on their rump and upper legs. They stand about 5 feet tall. Okapi live in forests around the Congo River in Africa. Okapi eat leaves, fruit, seeds, ferns, twigs, and grass. They are herbivores. A leopard is the true main enemy of the okapi and the leopard may be the only animal who hunts the okapi for food. 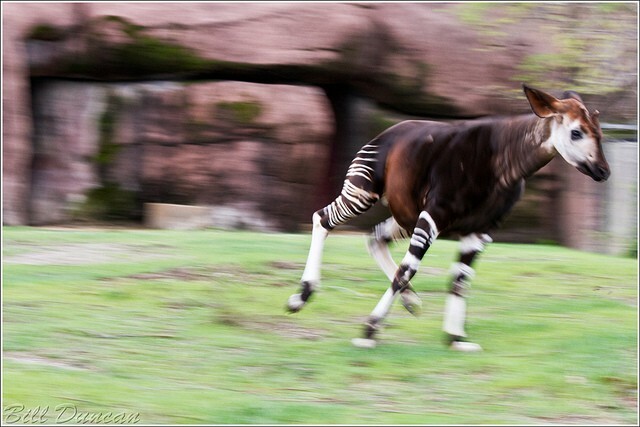 All the okapi do to protect them self is to flee. 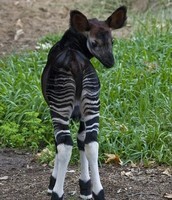 Baby okapi are born with hair going down their spine but lose it at 1 year old. They hide in ventilated places before 1 year old because they are easy to detect, so they hide to not be found and to protect themselves. ~Okapi travel alone and sometimes in pairs. ~The okapi is endangered and rare. There's only around 15,000 left in the wild. ~Their average lifespan is between 20-30 years. 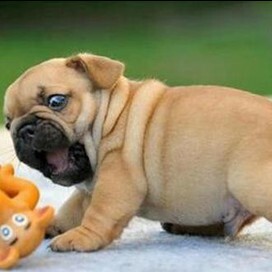 ~Females are larger than males. 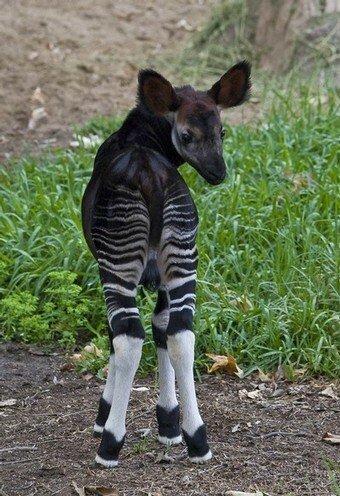 ~Okapi may look a little like zebra, but they are related to giraffes, not zebra. ~Okapi are listed at "near threatened".